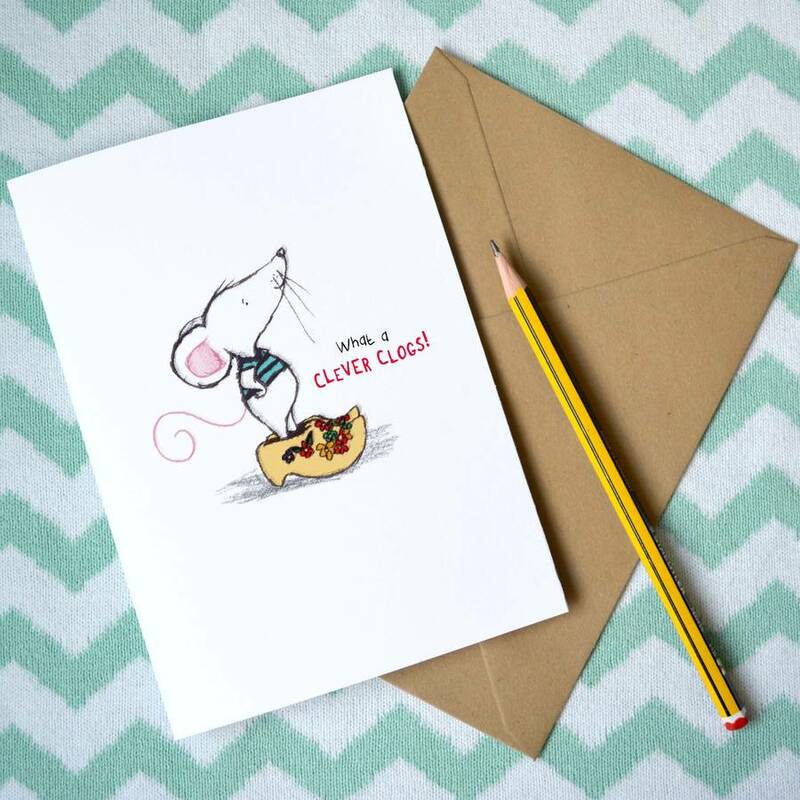 A perfect congratulations card to say well done to all the clever clogs in your life! 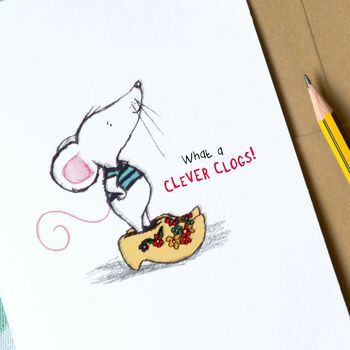 Perfect for celebrating exam results, grauations, new jobs or just being an all round clever clogs and brilliant person! 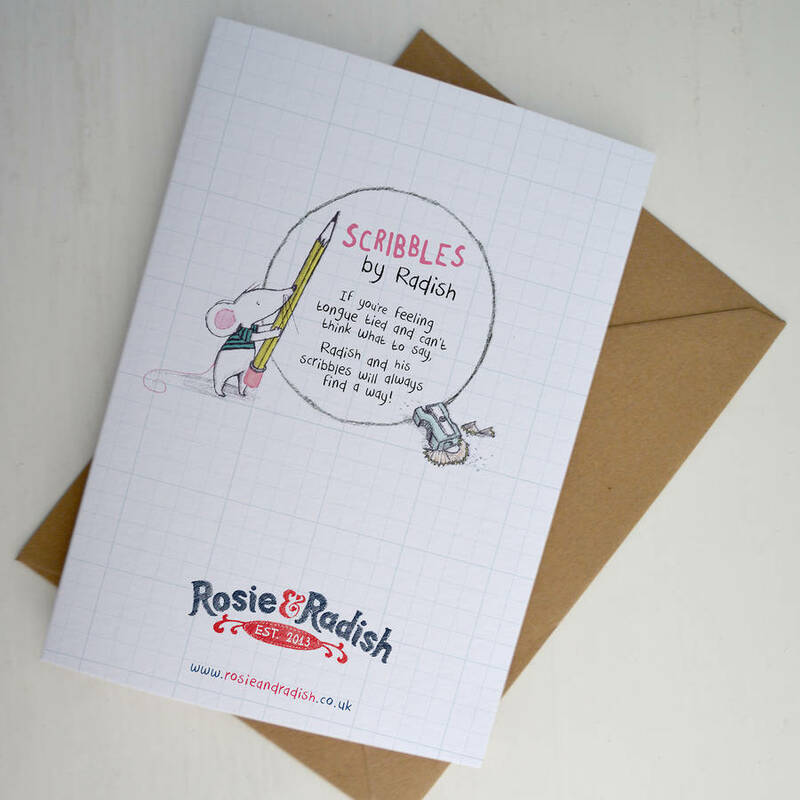 This delightful little card has been left blank inside for you to write your own special message. 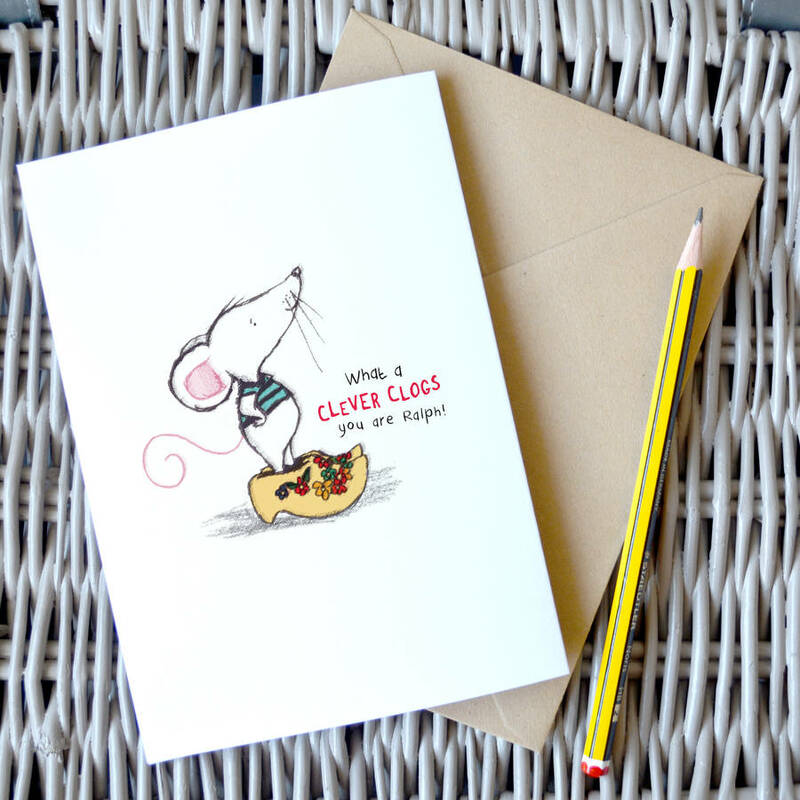 This card can be personalised to make it a very special card for anybody to receive. 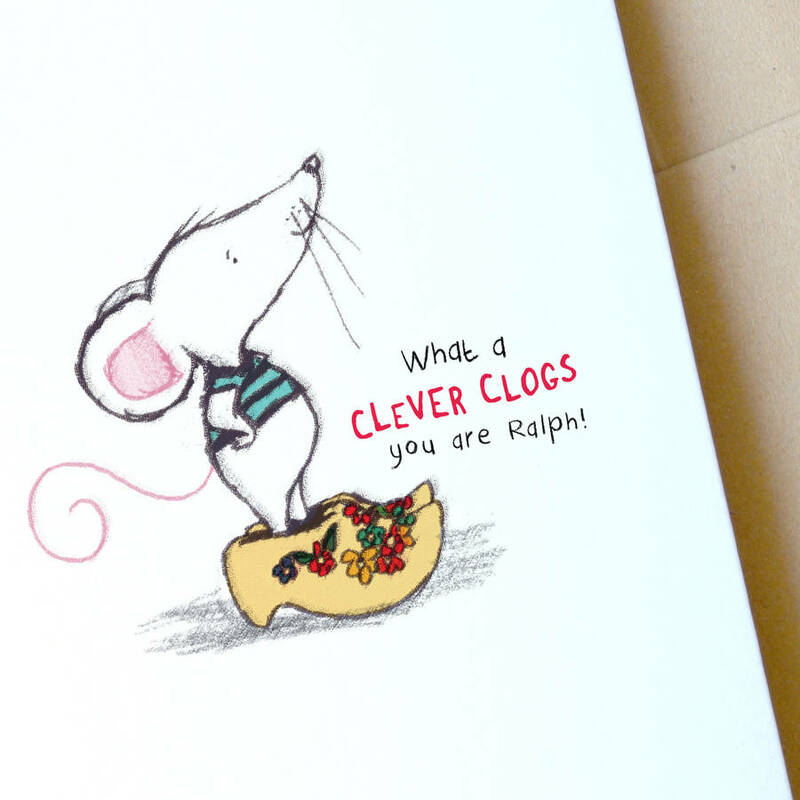 It personalised it features the name of the 'clever clogs' on the front of the card. 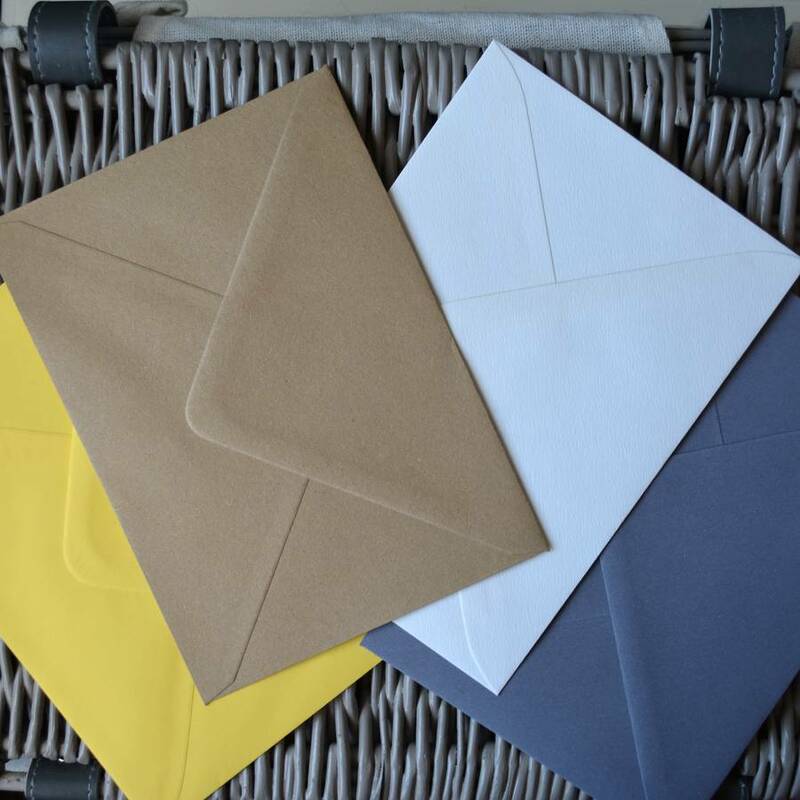 Comes complete with an envelope, in your choice of 4 colours: Kraft (as seen in photographs), Jolly Yellow, Classic Cream or Dark Grey and wrapped in a cello sleeve so it arrives to you in tip top condition.